There is something fishy about Greek Finance Minister Yanis Varoufakis' economic course, F. William Engdahl deems, dubbing the politician a "Trojan Horse" inside the Syriza party. 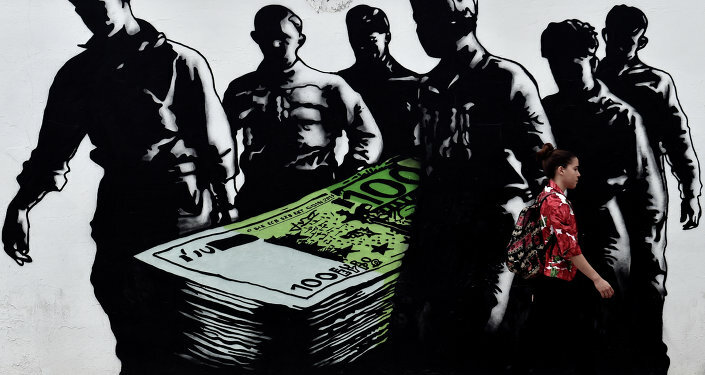 The Troika of the European Commission, the European Central Bank (ECB), and the International Monetary Fund together with the Greek oligarchs are playing dirty in Greece, American-German economic researcher and historian F. William Engdahl pointed out. "And it is looking more and more as though the 'leftist' economist, Varoufakis's role is that of a Trojan Horse for the destruction of the entire Eurozone by the bankers and those Greek oligarchs," the researcher suggested. Citing former US Assistant Treasury Paul Craig Roberts, Mr. Engdahl inferred that the ultimate goal of the Troika is "to terminate the fiscal independence of EU member states by turning tax and budget policy over to the EU itself." The EU and the ECB are trying to work out the mechanism that would allow them to "over-lend" a country and then force it to repay its debts by selling public assets, minimizing pensions and curtailing social programs. According to the economic researcher, the Greek "sovereign debt crisis" will be most likely used "to create a precedent that will apply to every EU member government." As a result the EU national governments will eventually lose their sovereignty, while Brussels would officially take over the reins. There is a possibility that Greek Finance Minister Yanis Varoufakis is a protégé of the EU financial elite, the historian suggested. He pointed to the fact that Varoufakis had long been a proponent of the "draconian austerity" and an antagonist of Greece's exit from the Eurozone. "Varoufakis was the adviser to Prime Minister George Papandreou and PASOK when Papandreou made the disastrous draconian austerity deal with the EU on behalf of Greece so that French and German banks could be bailed out," Mr. Engdahl emphasized. 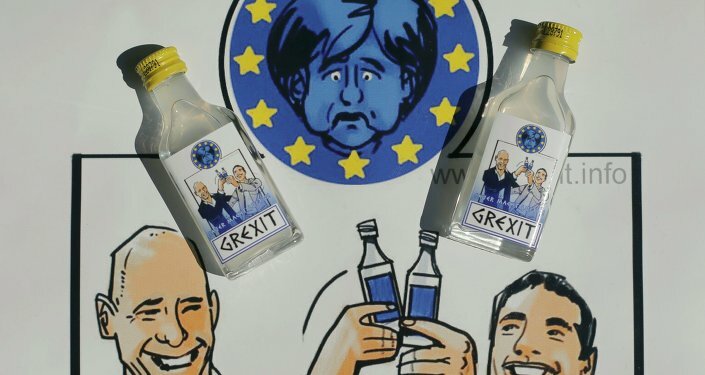 "Varoufakis also has at various times heaped praise on Mario Draghi and the ECB, suggesting solutions for how to keep Greece in the EU, a track that pre-programs Greece for self-destruction under the current Troika regime of austerity," he added. On the other hand Mr. Varoufakis, an Australian citizen, is a close friend and co-author of American economist James K. Galbraith, a guest scholar at the influential Washington-based Brookings Institution, the researcher underscored. Mr. Engdahl deems that there is something very fishy about Varoufakis' current economic course and the whole mess surrounding the ongoing Greek crisis. 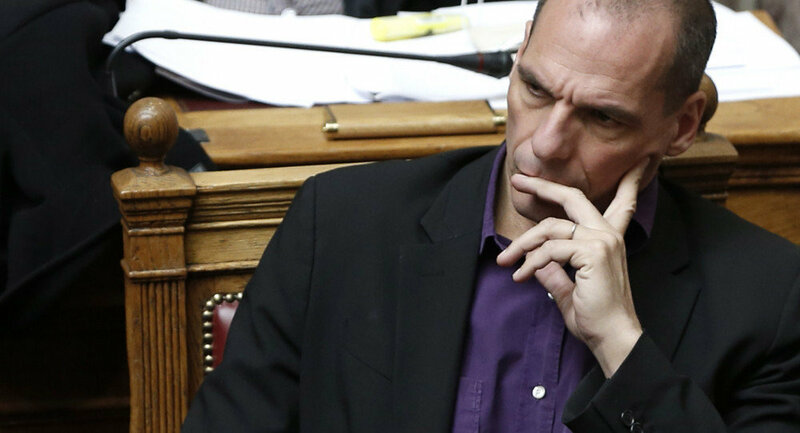 "Were Varoufakis the man he pretends to be before his Greek countrymen, he would have set forth a strategy of Greek exit from the Euro and a strategy akin to that of Iceland to declare a debt moratorium, freeze all debt repayments to the Troika-IMF, ECB and EU. Then he would put Greece on a national currency, impose capital controls and seek strong economic ties with Russia, China and the BRICS countries," the researcher highlighted. The historian pointed to the fact that Greece and Varoufakis "walked away" from a solution that could have brought the country from the brink of an economic collapse — Russian President Putin's proposal to join the BRICS development bank. It is obvious that both Washington and Brussels would have been infuriated by Greece's further rapprochement with Russia and China. But at the same time such a move would have allowed Athens to borrow from BRICS to get out of the crisis without "more savage austerity," the researcher stressed. "At this point it indeed looks as if Varoufakis' role has been to act as the Western bankers' Trojan Horse inside the Greek government," F. William Engdahl hinted.